with an awesome price of Rs. 5, 999. The smart phone is already launched in India which gives a golden opportunity for the buyers who want to get a great handset at a lower price range. The phone will go on sale this week as per the company announcement. 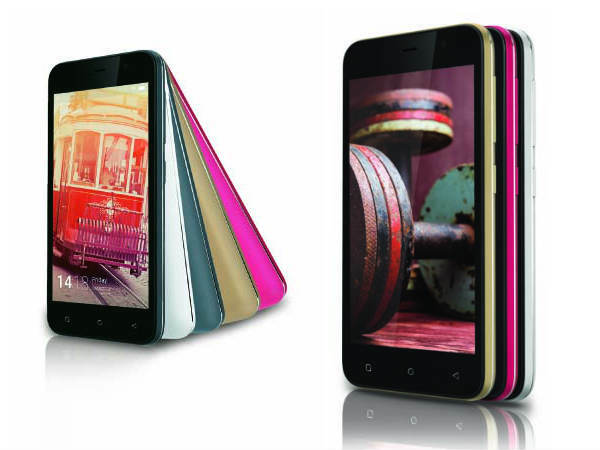 What makes Gionee Pioneer P3S is more desirable? This is not only the low price, but the grand features and the capabilities it offers. The phone runs on Android 5.1 Lollipop and is a steady upgrade of its existing Pioneer P3 model. The new phone comes with a bit better display and a slightly bigger screen size which attracts more takers. The phone includes a 1.3 GHz Quad Core MediaTek MT6580 Processor with 1GB of RAM which makes it adequately powerful and robust especially for a smart phone to function. Gionee Pioneer P3S will have Mali 400 MP GPU which surely supports a wide range of utilities of a mobile device. This will support for vector graphics so ensure a complete graphics acceleration platform for the modern mobile phone users. The connectivity standards are again very impressive as the phone comes with 3G, GPRS/EDGE, Wi-Fi, GPS/AGPS, GLONASS, Wi-Fi Direct, WLAN, Bluetooth, USB OTG, Micro-USB, etc. It also ensures a 5-megapixel rear camera with a 0.3-megapixel front-facing camera for video chats which appears to be adequate for a mobile phone user. However, they have included various editing features for the camera so the pictures can be edited and enhanced. It surely has a selfie mode with LED flash, panorama, low light settings, and many other. This great budget phone would be treating the user with grand convenience and elegance as it offers them everything they require. Gionee has always been reputed when it comes to the design and look. This time too, the new launch Gionee Pioneer P3S comes with an awesome design and will be available in four marvelous color variants including white, grey, red, and golden. The storage capability is again wonderful with an impressive 16GB inbuilt storage, which is an incremental update from its predecessor's 4GB storage, and is expandable via microSD card up to 32GB. This is more than enough for a normal phone user. They can store pictures and videos in great number with this storage specification and will be utilizing its maximum capacity. The handsome handset will be powered by MediaTek MT6580 chipset with a 1.3GHz quad-core processor which makes it all the more desirable. Gionee has always been phenomenal in offering great phone at affordable prices. The specifications has never been disappointing as they always managed to come up with latest features and functionalities for their all mobile devices and this time also the company is launching a budget phone which is going to be a hot favorite among college goers and new generation mobile lovers.